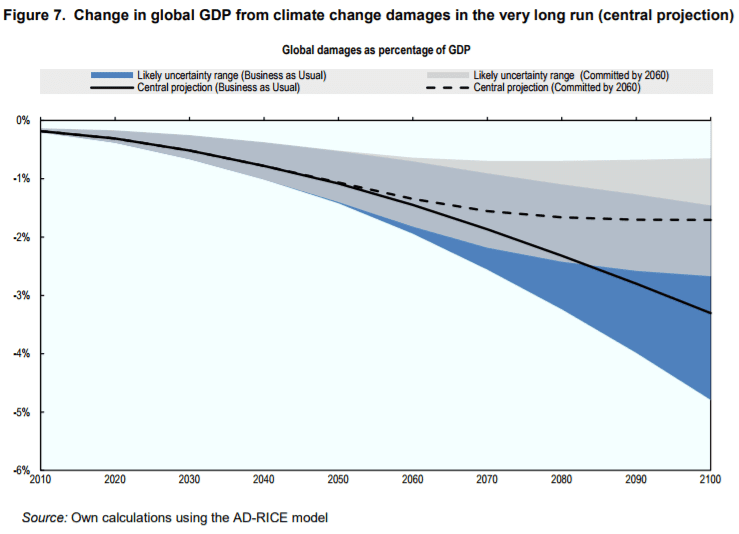 How Much Will Climate Change Cost? 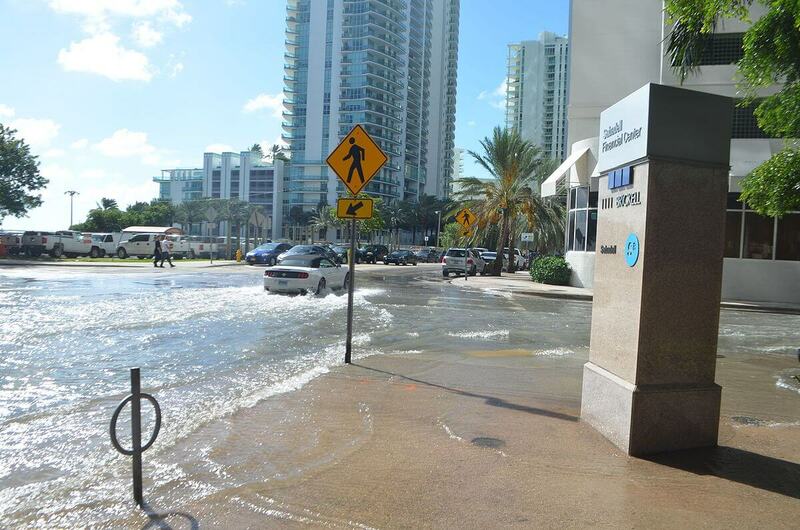 Is Sea Level Rise Already Increasing Flooding? 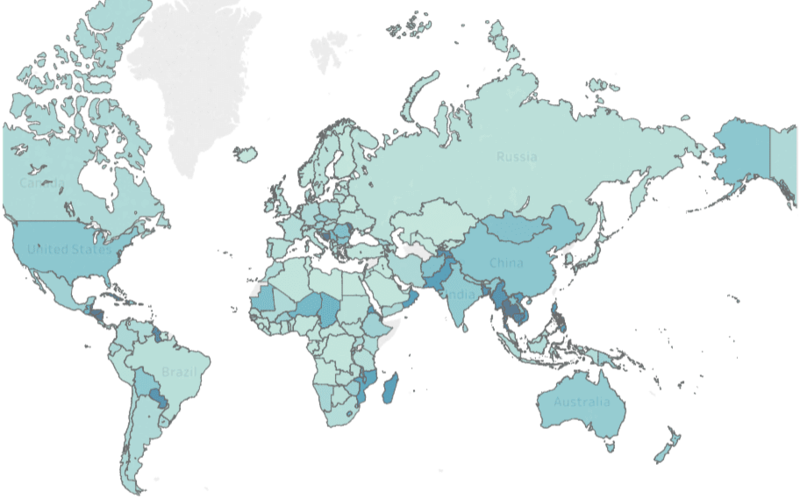 How Much Does Extreme Weather Currently Cost? 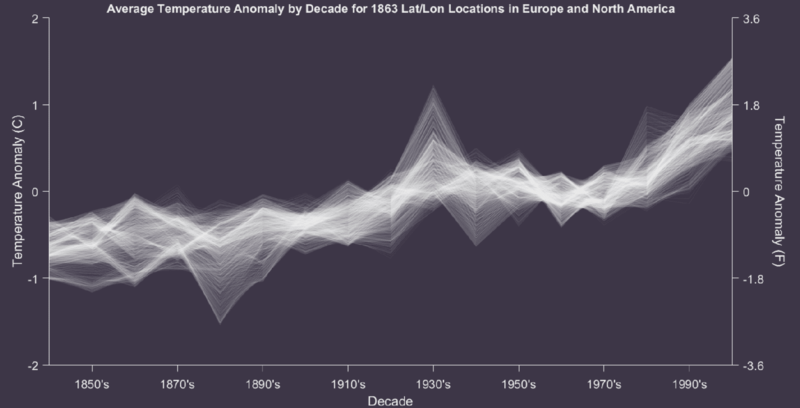 I was curious how much climate normals have shifted in the past few decades, so I put together some gifs looking at that. 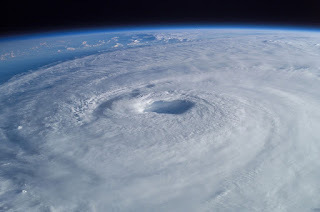 I've looked around and have not seen a great summary of how much global warming will cost. Given that, I decided to aggregate the estimates that I could find and have summarized them here. I was going to do a post on this, but a number of other groups have already done a much better job than I could do so I've summarized some of them here. 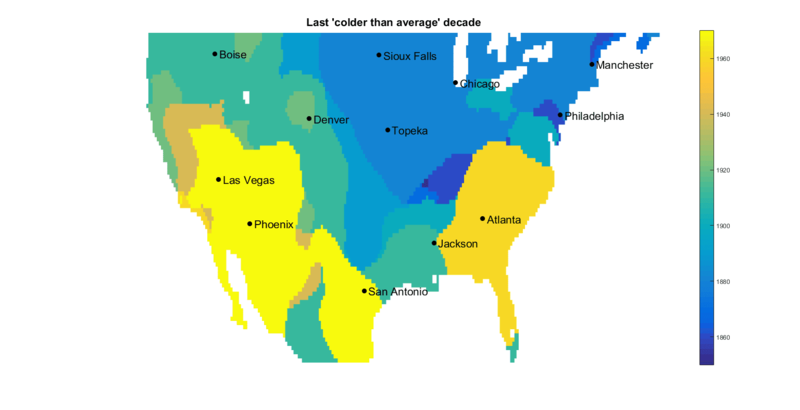 When Was The Last Time It Was Colder Than Average Where You Live? 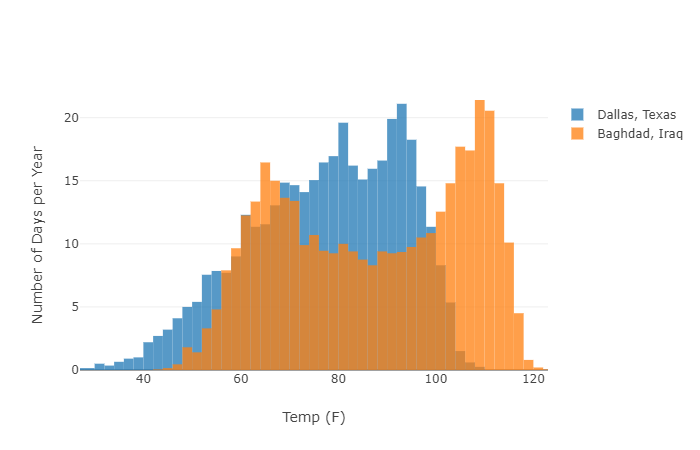 I was curious about how evenly distributed the observed warming is, so I put together a few visualizations of it. Why Do I Use Only Europe And The US For Historical Temperature Analyses? I've had a number of people ask me why I focus on the US and Europe with many of the analyses, and I figured I'd explain here. With a particularly bad hurricane season in 2017, there's been a lot of talk about climate change and hurricanes, and it's been a bit difficult to find actual science in the conversations. I figured I'd post what good information I've been able to find on the topic to answer some questions. 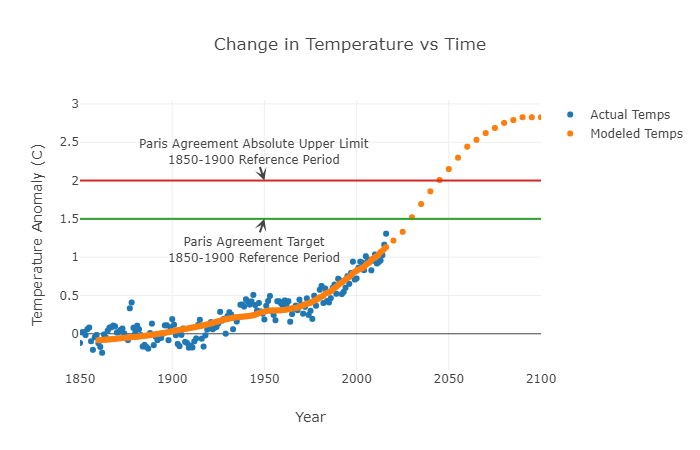 I've seen a good bit on temperature increases from global warming and I've put together several visualizations (example), but I haven't seen any clear heat index projections. I went ahead and put some together for the US. 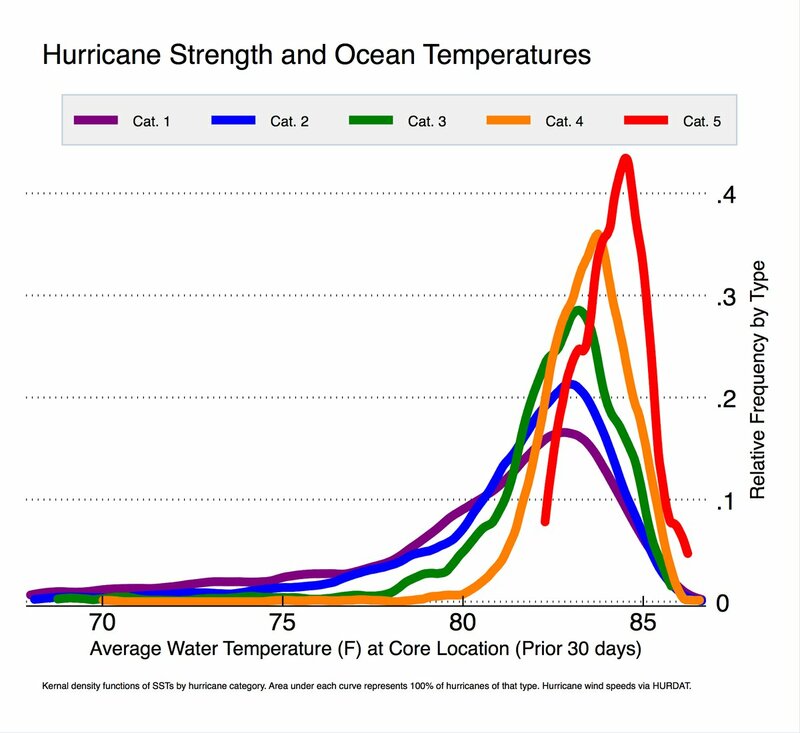 I was curious how much extreme weather currently costs so I did a bit of googling and made a visualization of the best results I could find. 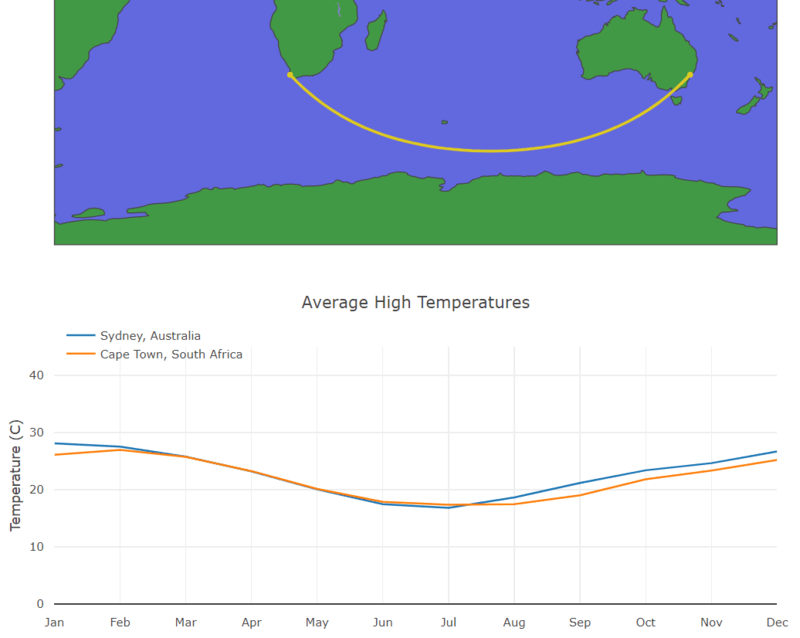 I took a crack at visualizing a heat wave because I thought that might look cool. I chose the 2011 heat wave in the central and southern part of the US. I picked this one because I live in Austin, TX and this heat wave is still somewhat famous here. 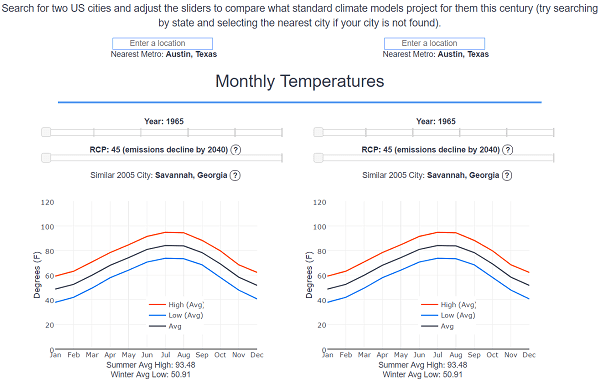 I've added a new tool that lets you compare city climates and it is here. 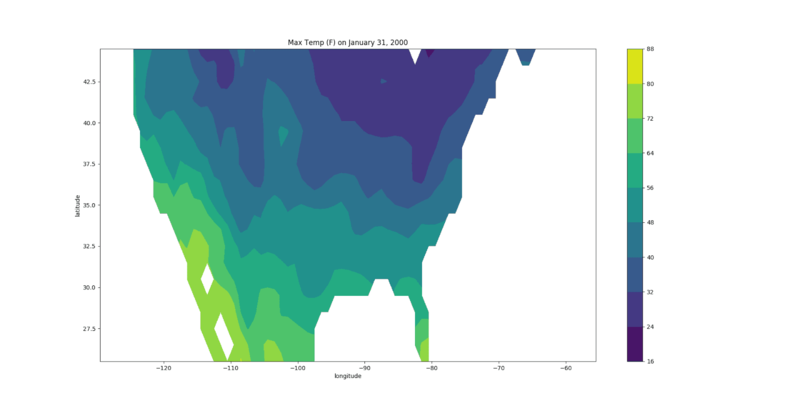 I wanted to make a simple climate model from scratch, so I took some of the data that's available and created one. 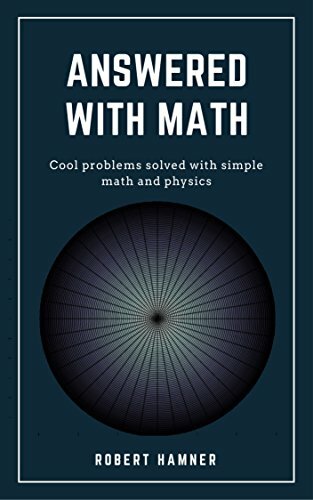 I've written up the process in detail here for anyone who wants to do something similar and have created a simple tool using this that you can play with here. I submitted this as a pitch to www.cracked.com and it was rejected for being too obvious to everyone, so I figured I'd post it here since I'd already written it. 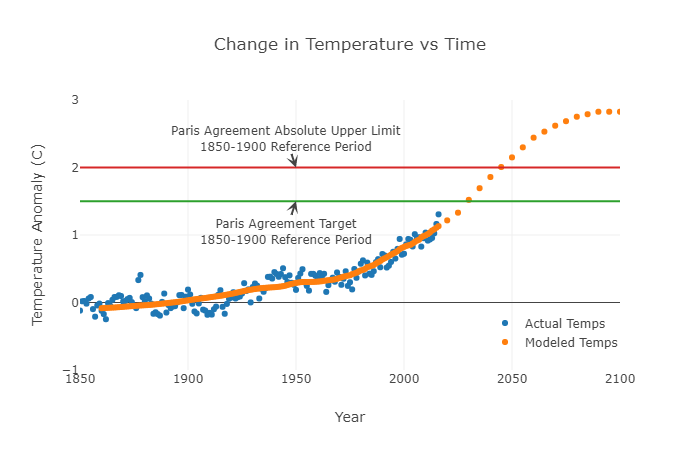 There's a massive amount of climate data out there, and it's not always easy to find and understand. I figured I'd make a quick tutorial for anyone who wants to start working with it. This also serves as a tutorial for reading data from netcdf files in Python. 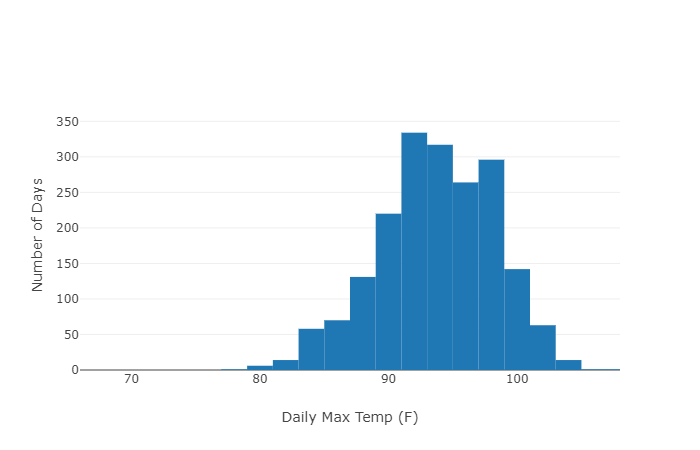 I put up a recent post analyzing if it's noticeably hotter yet, and in talking with a co-worker I realized a tool might help visualize that in a way that's more intuitive for people so I wrote one. I've read a good bit about climate change over the years and a question on www.reddit.com/r/climate the other day made me think about what my favorites are. I figured it was worth making a list with my reviews of them so here it is. As the Earth warms, winters will start getting warmer. Eventually, we should stop expecting snow at Christmas in some areas that currently get it. 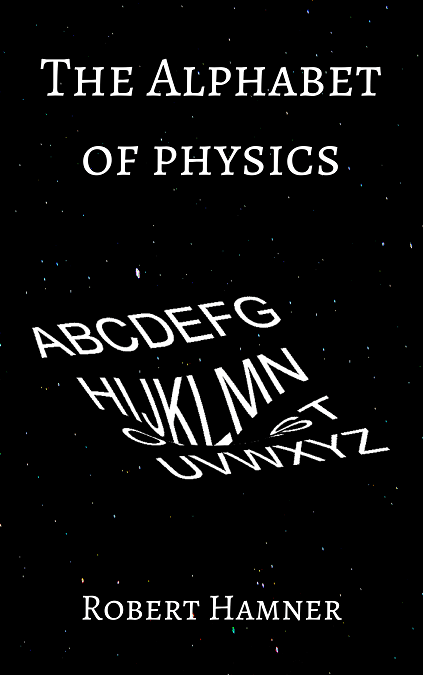 When might that be? I've added a new carbon clock tool that you can use in your website to track when we'll overrun our carbon budget. Clean energy is already a massive industry and will continue to grow going forward as it becomes cheaper and as the world is forced to move away from fossil fuels. Who is emerging as a leader in this industry and what energy types are getting the most investment?